Standing feet weight bearing exams require the patient to stand on the imaging receptor. Protection to expensive DR panels is paramount. 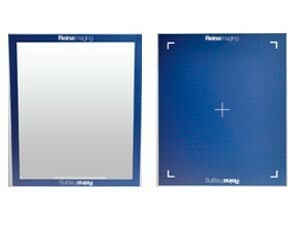 Reina Imaging’s new 14x17 Weight Distribution Cap is now lighter, less money at yet maintains the same performance. It is rated up to 750 lb. and now is available with a clear top too.